Even if you don’t care for video games, you may have noticed the unusual number of people purposefully running around with their phones lately (as opposed to distractedly ambling about with their phones). Or, if going outside isn’t your thing, your Facebook feed has probably been flooded with memes and stories about PokÃ©mon Go. The augmented reality game has people exploring their cities like never before and looking through their phones to find and capture virtual pocket-monsters that are scattered throughout the world. It’s all great fun, and a video game that is actually getting people more exercise can only be a good thing. But like most activities, it has already aroused safety concerns, some of which include driving and playing, and wandering into police stations. 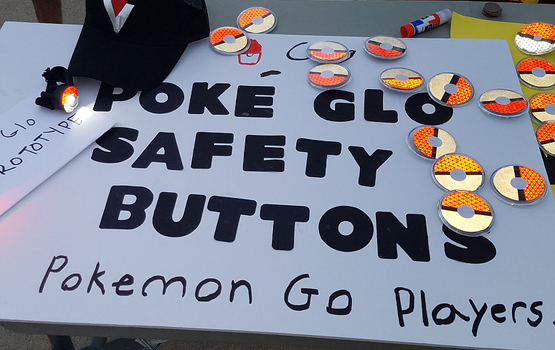 Seven-year-old Athen Salcedo, from Papillion, Nebraska, became concerned about the safety of people who play PokÃ©mon Go at night, when visibility is reduced. So, he came up with the idea of making reflector pins that players could wear in order to be seen by cars and other vehicles. Most kids would just make a few of these for personal use, but Salcedo wants as many players as possible to be safe. 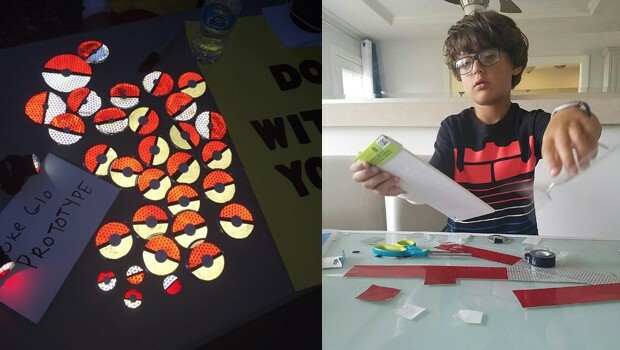 Not only did he build a website with his mom’s help, but he even started a GoFundMe page to help finance his project and make as many “PokÃ© Glo” pins as possible. 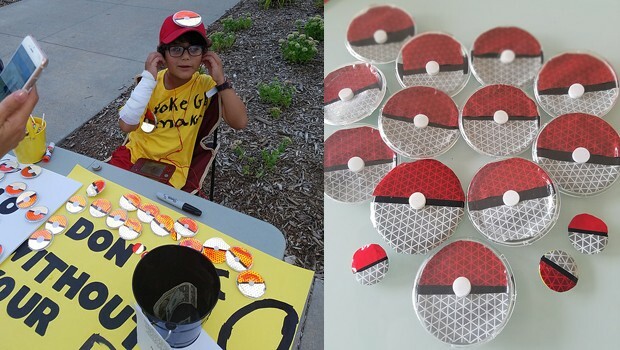 The pins would definitely appeal to PokÃ©mon fans, as they are designed to look like pokÃ© balls, the red-and-white spheres players use to capture pokÃ©mon. Salcedo writes that he sold a few of the pins at the park and was excited that people bought them. Whether or not Salcedo makes it in the NFL, he is already an amazing human being.